Generous donors and supporters of the Angus Foundation were honored Nov. 2 at the annual Supporter Recognition Event hosted at the 2018 Angus Convention in Columbus, Ohio. 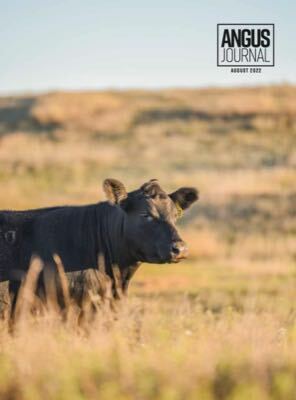 The Angus Foundation, the 501(c)(3) nonprofit arm of the American Angus Association®, has an extensive history of support for Angus education, youth and research for the Angus breed and the beef industry. The annual Supporter Recognition Event honored Angus Foundation supporters who have contributed $250 or more during the 2018 fiscal year. The event, which was hosted by agricultural broadcasting legend Max Armstrong of “This Week in Agribusiness”, drew a crowd of more than 275 people. Those attendees enjoyed a delicious meal featuring the Certified Angus Beef ® (CAB®) brand. The live auction, hosted by Col. Kevin Wendt, grossed an impressive $36,000 in general support for the Angus Foundation. The nine lots included: the 19,000,000th American Angus Association registration number, four granite pavers, a Lathrop Livestock Transportation package, a Henry “Big Boy” rifle, a Dorchester Plantation quail hunt and a Jorgensen Land & Cattle pheasant hunt package. To round out the evening’s festivities, two generous donations were made to the Angus Foundation. Curtis and Ann Long of Briarwood Angus Farms, Butler, Missouri, announced an outright unrestricted cash gift of $40,000, and the Ohio Junior Angus Association announced a $80,000 gift to the National Junior Angus Show (NJAS) Endowment Fund.